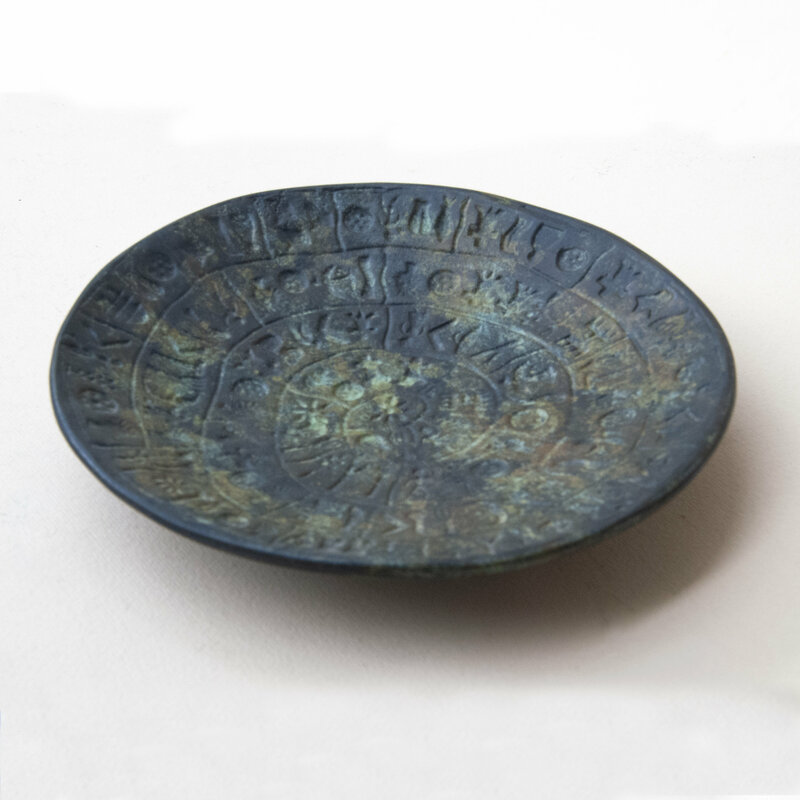 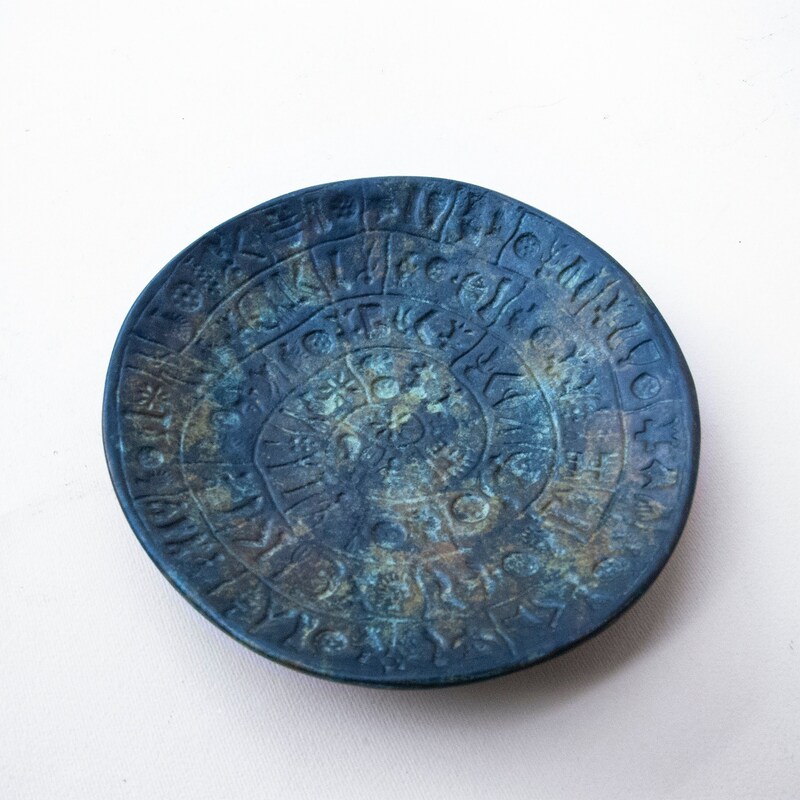 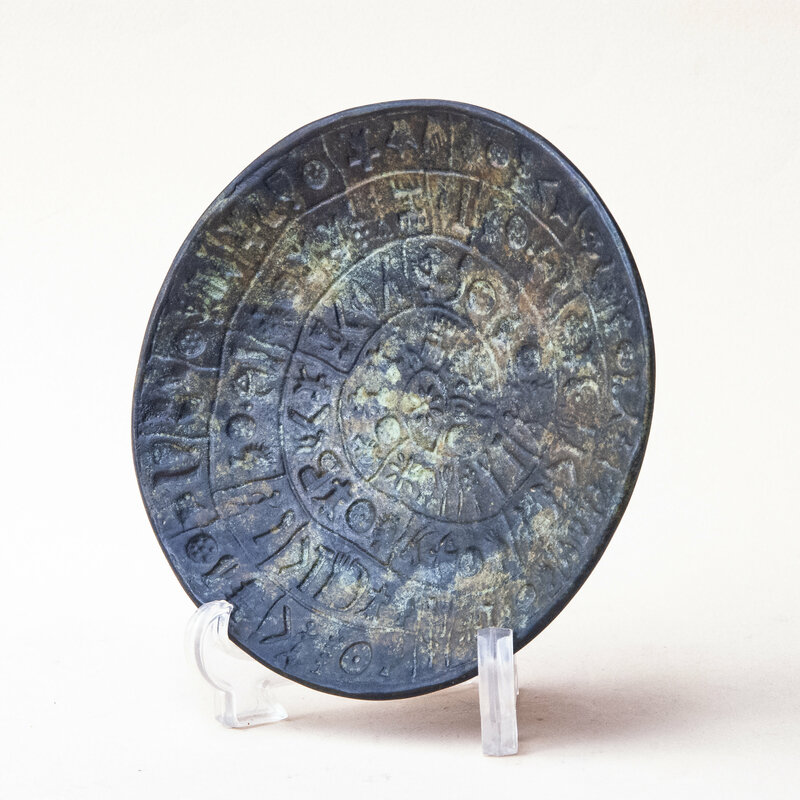 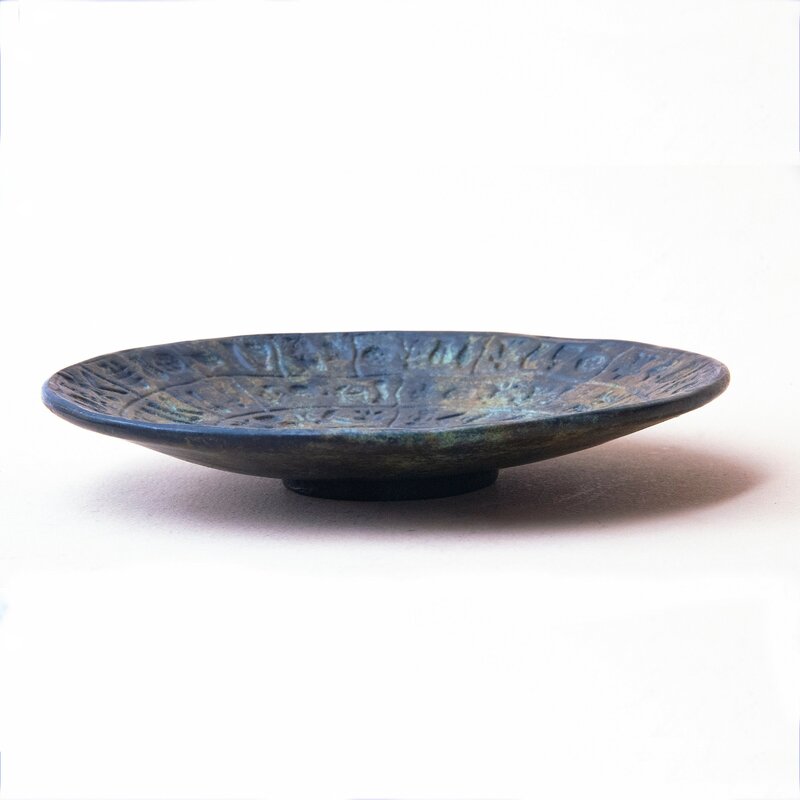 Greek Minoan Crete shallow bowl/dish with Phaistos disc, cast in solid bronze with verdigris patina mounted. 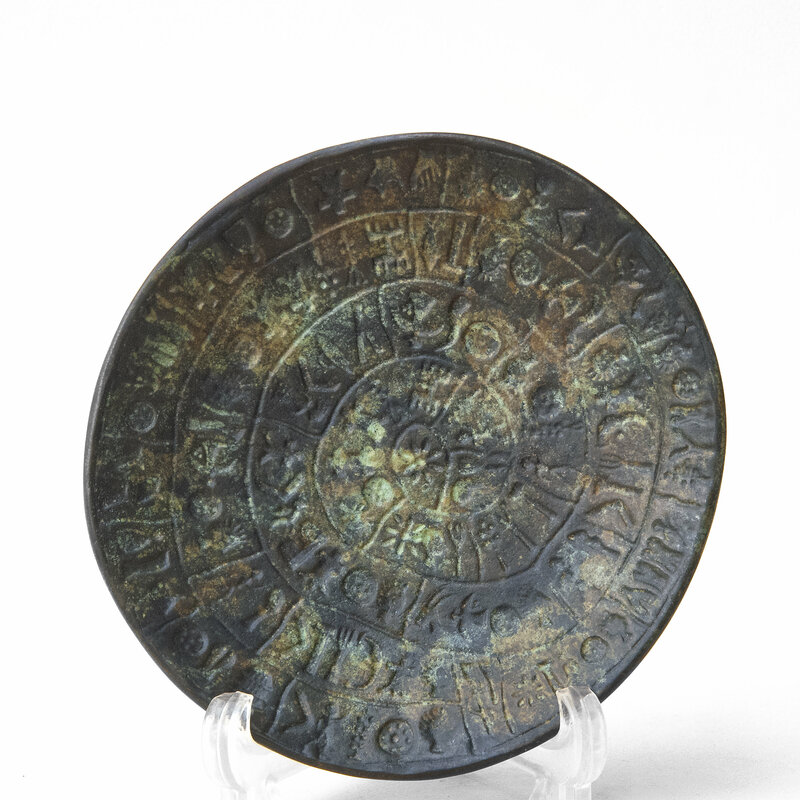 6 inches / 15 cm round approx. 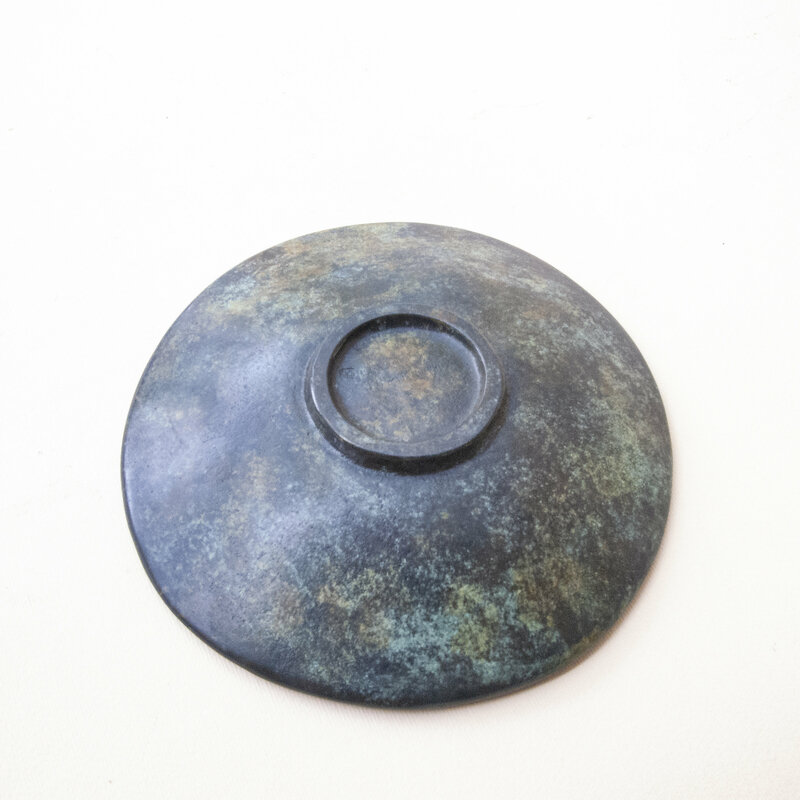 0.4 inch / 11 mm thick approx. 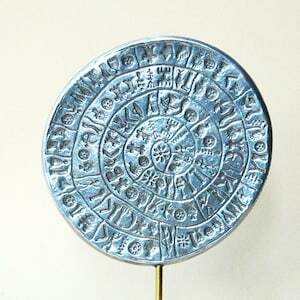 The Phaistos disc is a disc from the Minoan palace of Phaistos, on the south coast of Crete dating to the Minoan Greek Bronze Age (2nd-millennium b.C. 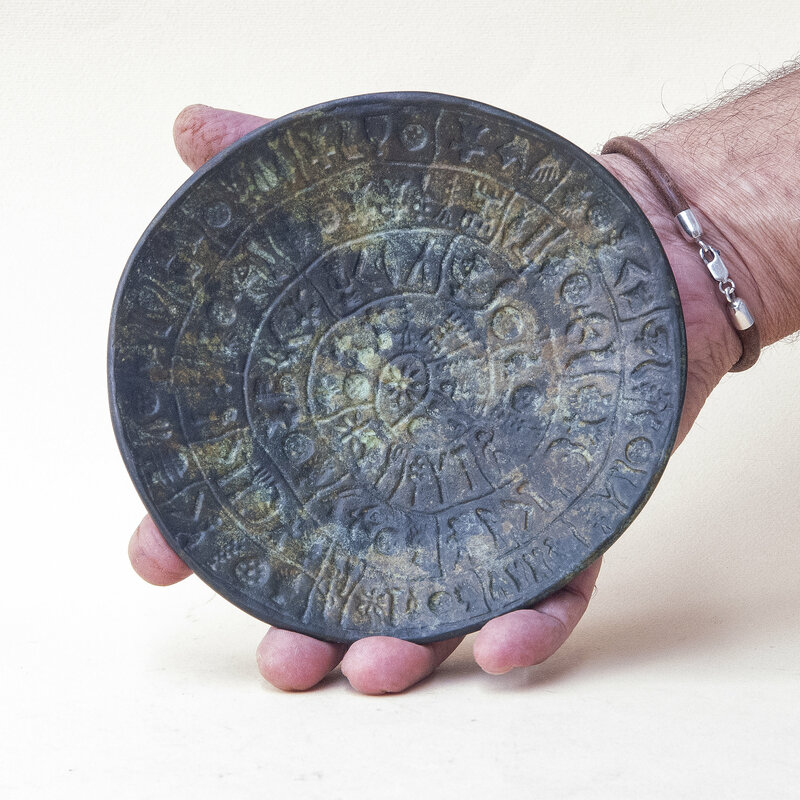 ), covered on both sides with a spiral of stamped symbols. 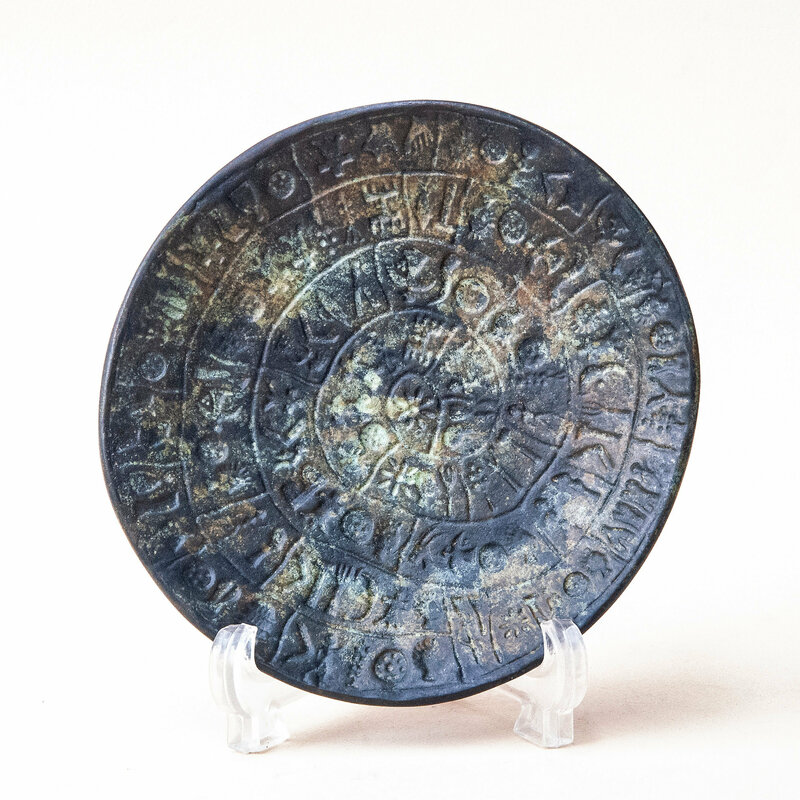 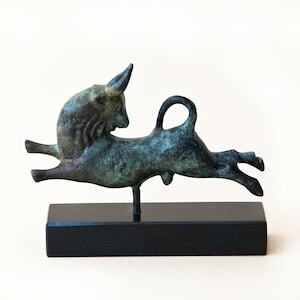 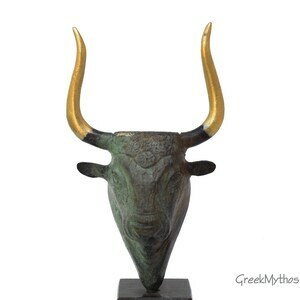 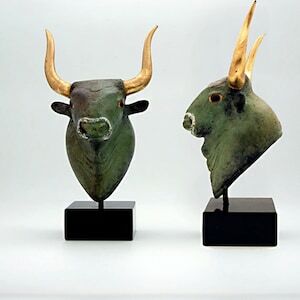 Its purpose and meaning remain disputed, making it one of the most famous mysteries of archaeology! 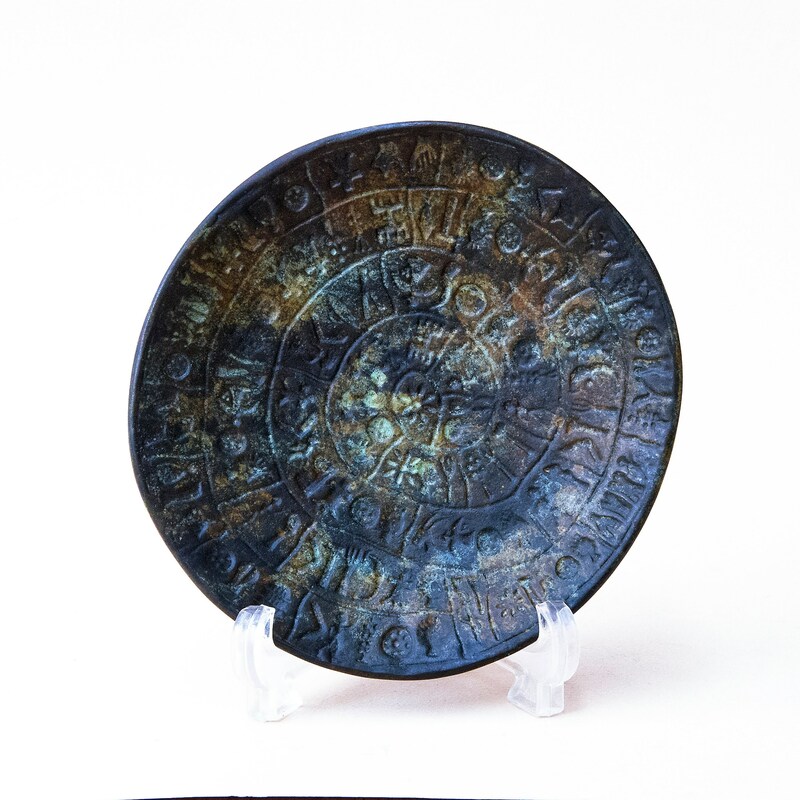 sequence spiraling towards the disc's center.